Born in London, Penelope had the good fortune to have a father who travelled, and travelled first class into the bargain. Her primary schooling was in India and Pakistan, where she became a prodigious reader. Coming to Wellington at age eleven, she eventually took up nursing and, at the same time managed to complete a B.A (Hons) in English Literature. 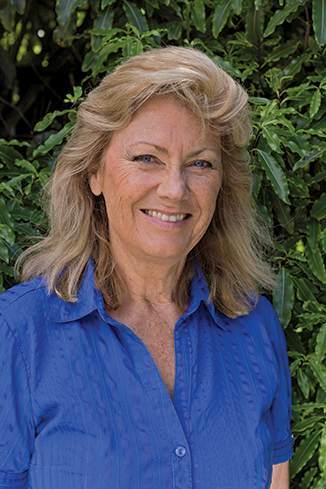 In her working life, Penelope has had more varied careers than most of us, from management consultancy, to working as a commercial pilot, flight instructor, having a family, operating a company providing support to accident victims, to published author. The Haines have lived on the plateau on 8 hectares adjacent to the Waitohu Stream for 30 years. Penelope claims that she became a writer when she realized it enabled her to gaze out of the window with a cup of coffee or a glass of wine in her hands and claim to be working. She started writing three years ago, stimulated by the National Novel Writing Month (NaNoWriMo) project which attracts world-wide hundreds of thousands of would-be authors, demanding 50,000 words in a month. The Lost One is the result, with a second, Helen had a Sister, a historical novel due out in December. There’s a third in the pipeline, a whodunnit based on her experiences as a pilot flying small aircraft around the Marlborough Sounds. Phew! You can find her on Facebook or read her blog at www.penelopehaines.com.